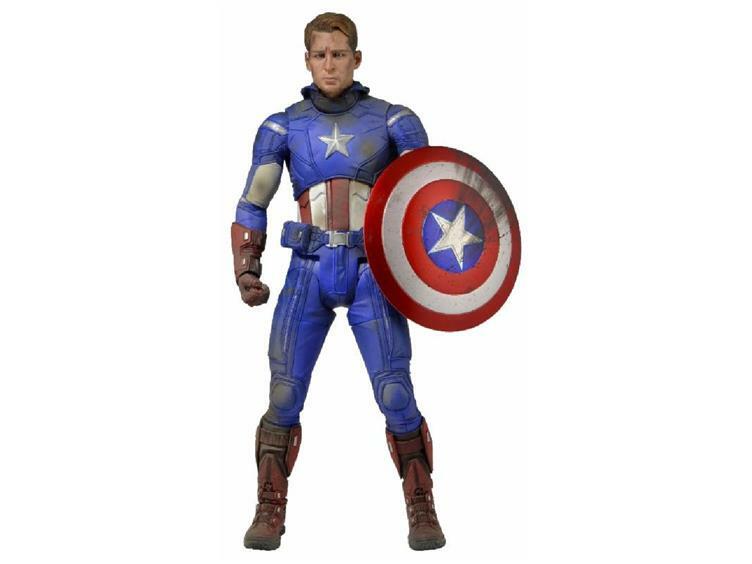 Following our first sold-out 1/4 scale figure of Captain America, NECA introduces a new battle-damaged version of the First Avenger! 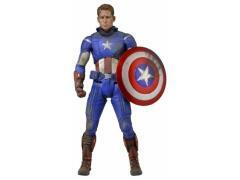 Based on his appearance in the blockbuster movie The Avengers, Cap stands 18" tall and has a brand-new, unmasked head sculpt featuring the likeness of Chris Evans, plus new deco showing damage from the battle for New York City. The truly incredible degree of detail includes over 25 points of articulation, including neck, shoulders, torso, elbows, hips, knees, wrists, and more.